Keeping a lid on the dome! Chillin in Lakeville... windchill that is! Wow, a lot has happened this week. So I'll jump right into it! On Wednesday, we had exchanges with our zone leaders! 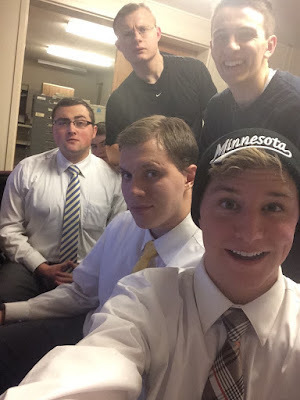 I had the opportunity to jump into some English work with Elder Buhler, it was great! I got to meet a lot of new people and see the difference in culture and personality between Americans and Hispanics. I feel so blessed to interact with both Americans and humble people from all over Central and South America! Minnesota is a huge melting pot and it's such an awesome experience to serve the people here. I'm also so grateful to not only have the luxuries of this great country but to also learn a new language! Even though it's bone-chilling cold, there's no better way to warm up than feeling the warmth of the Holy Ghost in your heart! We recently had a wonderful first lesson that was filled with the Spirit! A while back when we found the two new investigators from El Salvador, we showed both of them the Christmas initiative video. While we were showing the video to one of the Salvadorians named Jaime, another guy walking in the background saw us and came up and introduced himself. His name is Salvador, and we went back to teach Jaime but he wasn't home so we ended up teaching Salvador. Turns out, he moved here from El Salvador 10 years ago to work and support his family, and while he was back home he was briefly taught by the missionaries there! 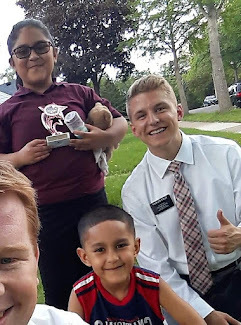 He was excited to reconnect with the missionaries and we had a wonderful lesson on prayer and the Book of Mormon. It was such a cool miracle to find him, and it was because of the amazing #LightTheWorld video that we connected with him! We are greatly blessed to have the technology we have in these days to access so many spiritually uplifting material in a matter of seconds! This weekend has definitely been a tough one, especially for our zone here in Lakeville. One of the elders in our zone received word on Saturday night that his father only has two weeks left to live. We decided to have a zone wide fast for him, as he prayed for direction on whether he should stay on his mission or spend time with his dad the last few weeks of his life. On Sunday he made the decision to go home. We are sad to see him go and will miss him a lot. Even though It hasn't been the best week this week, I'm way excited for next week! It's such a blessing to represent the Lord and testify of the life of Jesus Christ during this Christmas season. I hope you go into this final week until Christmas with the true meaning of Christmas in your hearts! I know the Christ lives. He is our savior and redeemer. He is my rock and my salvation. Through the redeeming and enabling powers of his atonement, we can be free from sin and learn become more like Him. I love this gospel, I know it's true. The same authority that Christ had is restored on this earth today. I love being a representative of Jesus Christ and a full time missionary for the Church of Jesus Christ of Latter Day Saints! The church is true!! I love you guys! 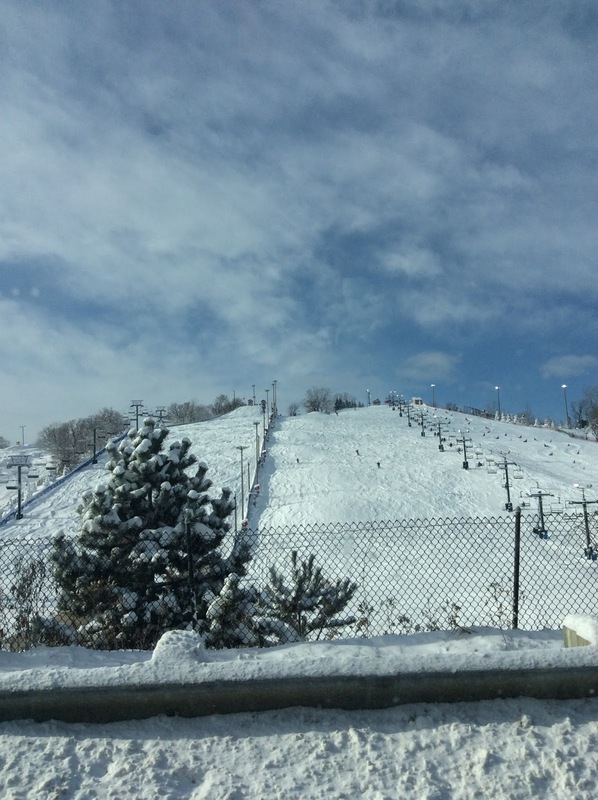 Buck Hill - Ski "Hill" in MN!